COLUMBUS, Ohio (AP) — The role that drugmakers and drug distributors played in contributing to the nation’s deadly opioid epidemic is now front and center in a federal courtroom in Cleveland. 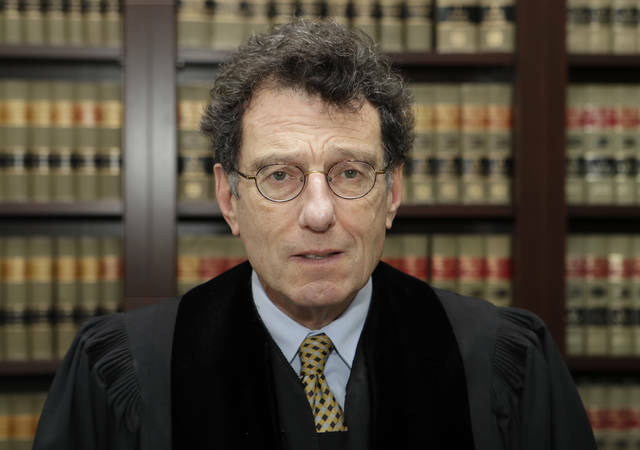 Judge Dan Polster is overseeing more than 200 lawsuits against drug companies brought by local communities across the country, including those in California, Illinois, Kentucky, Ohio and West Virginia. The lawsuits have been consolidated into what is known as “multidistrict litigation,” an approach taken when lawsuits of a similar nature are filed around the country. The consolidation comes in the midst of the most widespread and deadly drug crisis in the nation’s history. The government tallied 63,600 overdose drug deaths in 2016, another record. Most of the deaths involved prescription opioids such as OxyContin or Vicodin or related illicit drugs such as heroin and fentanyl. Congress created the Judicial Panel on Multidistrict Litigation 50 years ago this year. The panel’s responsibilities are determining whether civil lawsuits pending around the country are similar enough to be combined, and to select a judge or judges to oversee them. Consolidated cases can involve airplane crashes, train wrecks or hotel fires, or lawsuits over defective products, such as lawsuits consolidated in Miami recently against Japanese auto-parts supplier Takata over its air bag inflators. The panel cited three reasons in its decision last month to center the cases in Cleveland. First is Ohio’s own experience with overdose deaths and attempts to slow the epidemic. In 2016, a record 4,050 Ohioans died of overdoses, a number expected to rise again for 2017. Next is Cleveland’s proximity to various drugmakers’ headquarters in Connecticut, New Jersey, New York, Pennsylvania, and Ohio, which is home to drug distributor Cardinal Health. Finally, the panel cited Polster’s experience on a previous consolidated case involving damage claims related to dyes used in magnetic resonance imaging procedures. That case, which involved several hundred cases, “has provided him valuable insight into the management of complex, multidistrict litigation,” the panel ruled. Polster was nominated in 1997 by President Bill Clinton, a Democrat, and confirmed and sworn in as judge in 1998. The communities suing are cities or counties adversely affected by the opioid crisis. Municipalities added to the case last week include Guayanilla in Puerto Rico, Jefferson Davis County in Mississippi and the city of New Castle, Indiana. Other communities include hard hit cities like Portsmouth, Ohio and Huntington, West Virginia, and Henderson County in Kentucky. Polster’s courtroom isn’t the only place where lawsuits are being heard against drugmakers. Some government bodies, including Ohio and at least nine other states, are suing the industry in state courts. Additionally, most states have joined a multistate investigation of the industry that could end up sparking a settlement or yet more litigation against the industry. The lawsuits accuse drugmakers of using deceptive marketing to push the sale of opioids and targeted painkillers at vulnerable populations like the elderly and veterans. Allegations against distributors accuse them of lax product oversight and of ignoring suspicious orders of large quantities of painkillers. Targets of the lawsuits include drugmakers such as Allergan, Johnson & Johnson, and Purdue Pharma, and the three large drug distribution companies, Amerisource Bergen, Cardinal Health and McKesson. Drug distributors and manufacturers named in these and other lawsuits have said they don’t believe litigation is the answer but have pledged to help solve the crisis. Such lawsuits with multiple jurisdictions can drag on for years, although one goal of consolidation is to cut down on redundant filings that can lead to delays. Polster has said he wants to move quickly, noting that hundreds of people would die in the U.S. from overdoses just during a Jan. 9 hearing.